I've always had issues with my weight but since Jasper was born I've been at a standstill. Fatigue from a baby who never sleeps more than an hour or two consecutively isn't the greatest motivator to lose the baby weight! Even at 15 months, Jasper is still not sleeping through the night so I am usually in a somnambulant state. I have never liked to exercise. This is not necessarily due to laziness, I just hate to sweat. I'm not into team sports, I don't like aerobics, I hate to run. I love to cook and to eat. This wouldn't be too much of a problem, but I also love clothes and fashion and since I'm only 5'2", the extra pounds do show… something's gotta give. Anyway, this matters to you because I was contacted about trying Sensa, a revolutionary new approach to weight loss that is neither diet nor exercise. Sound too good to be true? Maybe, maybe not. 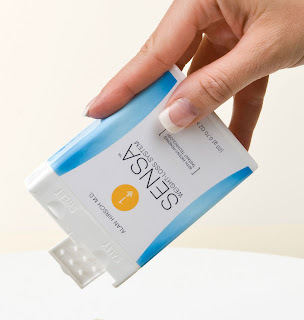 Sensa is a six-month system of "tastants" which you sprinkle on your food. They are taste-free, non-addictive, and they aren't drug-based. Rather, they work with your sense of smell to provide a sense of fullness, curbing your appetite. 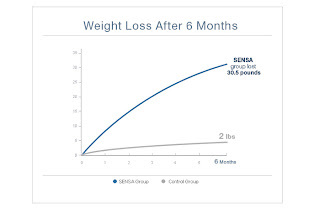 As it says on their website, Sensa "is designed to help you overcome the biological urge to overeat, so you can reduce your calorie consumption and lose weight while continuing to enjoy the foods you love and feeling fully satisfied." Their studies show that "Over a 6-month period, 1436 women and men between the ages of 19 and 55 who sprinkled Tastants on everything they ate lost an average of 30.5 pounds." Yes, these are magic sprinkles that you add to whatever food you eat and apparently you lose weight. No sweat. Awesome. If you are interested in trying Sensa, enter code ROCKETXL at this link to get 15% off your order and free shipping. 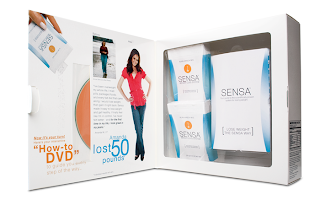 Competitive types will be thrilled to know that there is a contest to enter: the three entries with the most dramatic weight loss will win a six month supply of Sensa and other Intelligent Beauty products. You need to post before and after pictures during the week of February 2-6 and email your link to enter. Wow - this sounds interesting. I'm interested to hear how it works! I can see how it would make you stop and think about what you're eating, if nothing else. I'm overtired and I swear that makes shoving food in my face like a zombie quite the habit. Now that sounds interesting - almost too good to be true. I look forward to hearing about your results. If it works I am going to be all on that! I am looking forward to hearing how this works for you. The description kind of reminds me of the diet pills featured in an episode of Doctor Who last year. Turns out, the pills would turn fat into little living creatures that would simply separate itself from your body and walk away, and I'd still do it, except that sometimes the people would completely self-destruct. Are you afraid? I think I might be a tad reticent to sprinkle an unidentified substance on my food. It might be a govt hatched plan.